Raise your lip and snarl threateningly with these Werewolf Teeth. The beastly denture piece features a pink upper gum line and sharp-pointed teeth with brown staining. 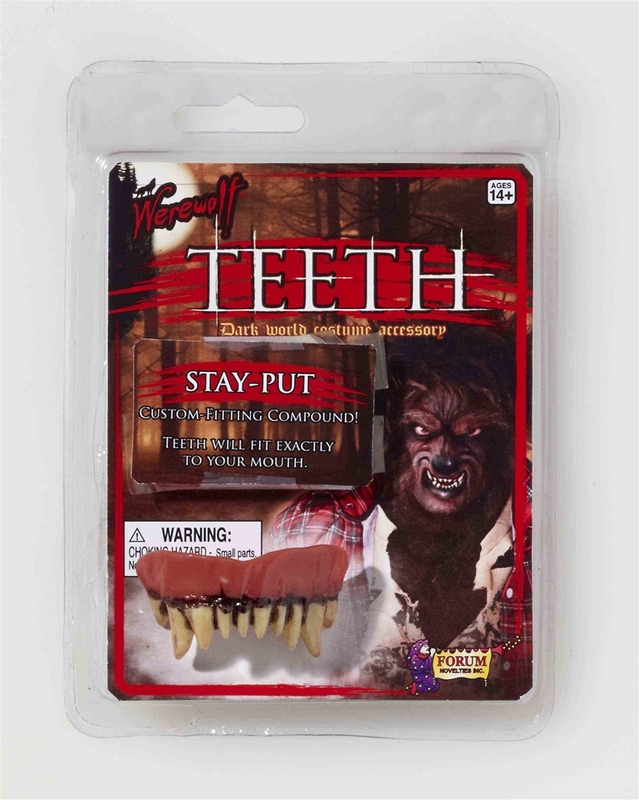 The teeth are a great detail piece for your werewolf or monster costume this Halloween.